Once again, back to Campbell’s Swamp. It had been raining for a few days, so the swamp level was a bit up. I spent most of my time in the grasslands next to the swamp. 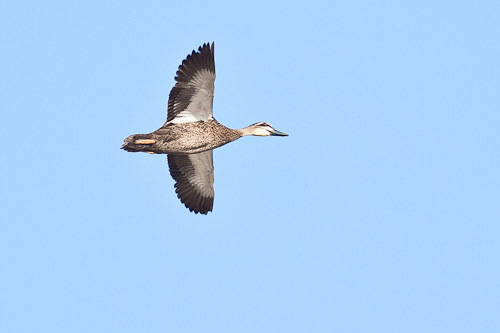 This is a very common duck but a good look at the underside in flight of the Pacific Black Duck. 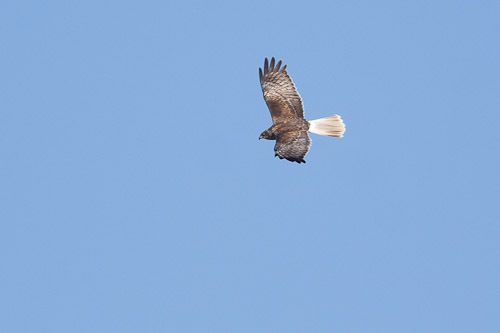 This is a good shot showing the white rump of the Swamp Harrier, a big help in identification. This is an eclipse male. 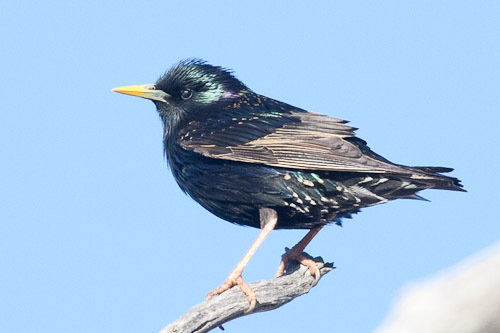 The male is black and white. Lots of helpful photos in the post. 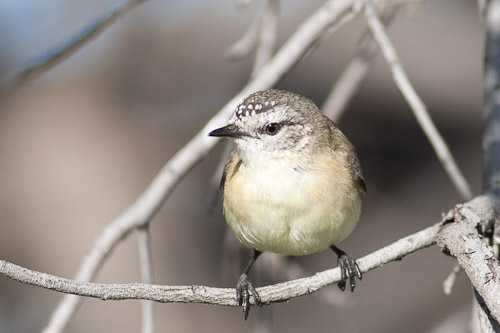 This one shows the spotted head of the Yellow-rumped Thornbill. 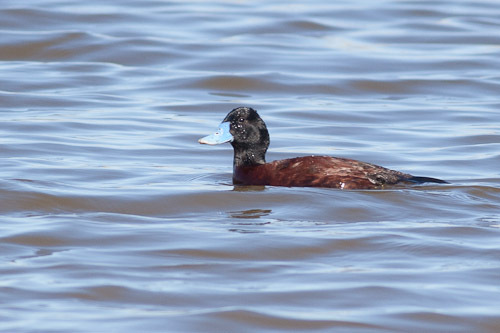 The female Blue-billed Duck has got a plain dark bill. 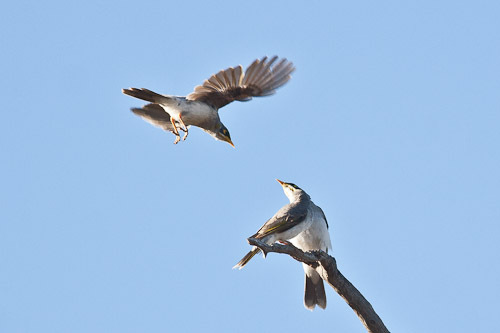 A good shot showing both male and female. The male has a white eye. Just as I was heading off, this pair swam past me. I had to take their photo. This morning I went back to Campbell Swamp again. It is a pretty good spot. 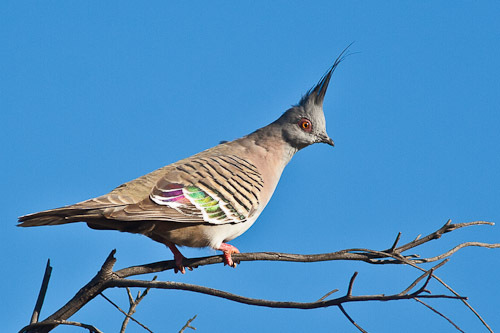 I saw a lot of different birds there this time. Mainly because I went along the edge of the swamp in the grasslands. Also called Sugamel niger. This Black Honeyeater is a young male I think. But then again it could be a female. 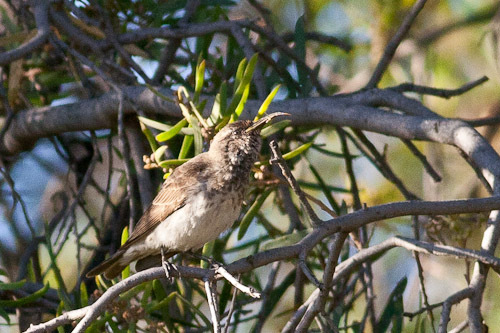 I cannot find any immature male Black Honeyeater photos to tell me. Does anyone know? 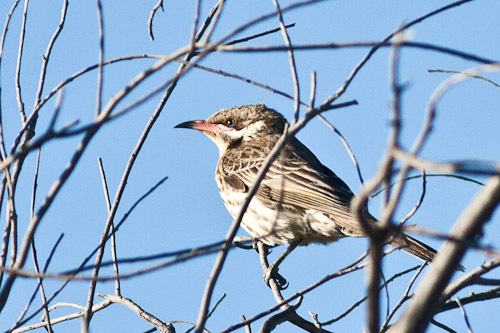 This is the first Spiny-cheeked Honeyeater I have seen this year. 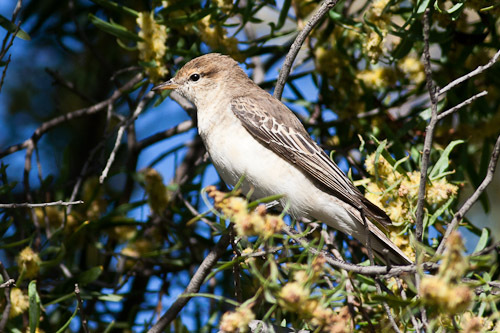 They like a dry habitat of mallee, woodlands and open forests. 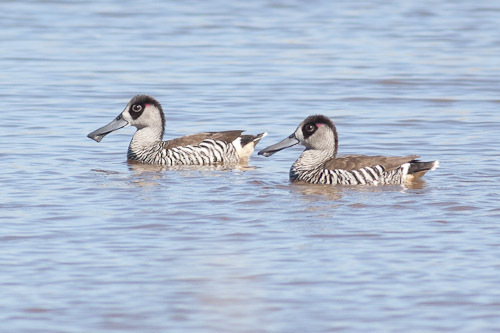 They can be quite readily identified by their black and pink bill and white stripe under the eye. These look like a bunch of young Yellow-throated Miner to me. They were all sitting on a branch having a conference, then they jumped up, had a great fight then flew back down again to roost all huddled up again. I tried to catch the colours in the wings. You can only see them when the sun is reflecting off them in the right angle. He looks like he has had a fright, doesn’t he? 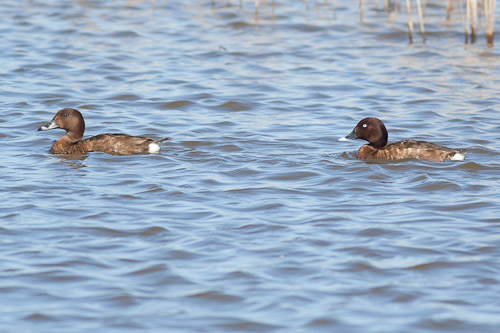 I have been trying to get a decent photo of these very common birds for ages. They look really beautiful in the right light. 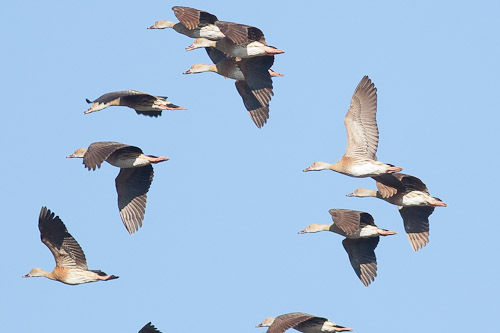 A big flock of Plumed Whistling-Duck flew over the swamp. The Straw-necked Ibis seem to fly over every morning and night on their way to and from some feeding grounds, I suppose.